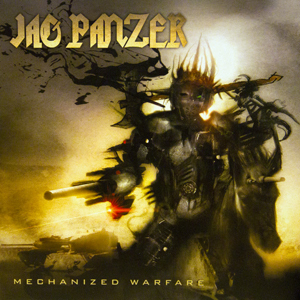 Mechanized Warfare was the first Jag Panzer album to be recorded entirely at the band’s studios. Producer Jim Morris worked with the band to establish 2 separate studios that would be later used on every Jag Panzer album. Mechanized Warfare also marks the first time another artist covered a Jag Panzer. Singer songwriter Gabriella Kulka recorded a piano and vocal cover of the song ‘The Scarlet Letter’.